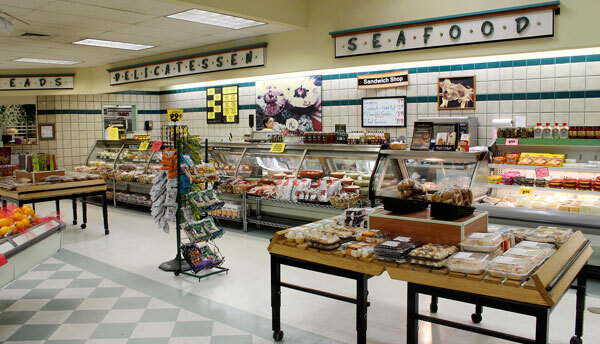 Marandino’s Supermarket, a family-owned and operated grocery store in New Hartford, CT since 1963, is committed to providing you with competitive prices on fresh products and excellent customer service. Preserving the tradition of the neighborhood butcher, our Butcher’s Bundles are our specialty, providing fresh, high-quality meat cuts in varieties and prices you’ll love. Don’t see a product you’re looking for? Just ask! We’ll do our best to get it on our shelves—our aim is for all of our customers to leave our store with a smile! Marandino’s offers a wide variety of meats and poultry, including store-made gourmet burgers, natural pet foods, and uncooked pigs for a backyard roast. Choose one of our economical Butchers Plans or request a custom cut at the counter. Our skilled butchers are trained to meet our high standards of quality meats and customer service! 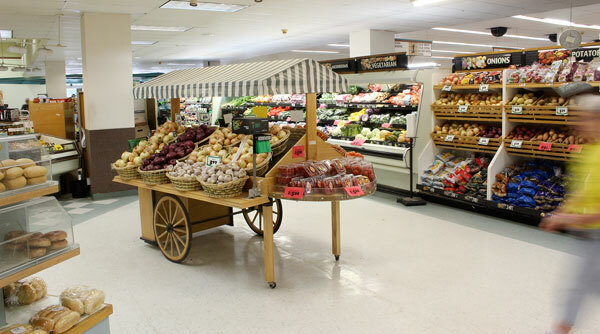 Peruse our fresh produce section, full of seasonal, local, domestic, and imported fruits and veggies. Our specialty foods selection is constantly growing! We’re proud to offer several hundred gourmet and specialty food items, including (but not limited to) jellies/jams, cheese, sauces, candies, and more. Every business deserves a chance and we’re delighted to offer that for local companies. Our shelves are stocked with a wide assortment of fresh, local products from New England and the Tri-State Area such as eggs, maple syrup, sauces...even dog treats! No gluten, no problem! Check out our bountiful selection of gluten-free breads, pastas, flours, cookies, cake mixes, and more. Our customers can feel confident to shop our aisles for healthy, wholesome, and all natural choices. We try to offer as many certified organic products as we can, including organic produce, chicken, and grocery staples.